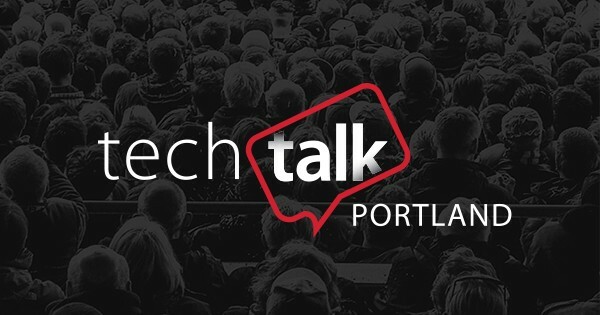 WEX Tech Talk Portland Was a Success; What’s Next? | WEX Inc.
For more than a year, WEX has been providing a regular platform for our community to come together to learn about how cutting-edge technologies impact our work—meeting with colleagues over food and drink while discussing innovative ways to achieve our goals as a company. These Tech Talks have been so popular that we recently expanded their scope, inviting a wider group of tech professionals in the emerging innovation hub of Portland, Maine, to hear from local and global visionaries about the future of work and tech in the state. A sold-out crowd of more than 300 people met at Portland’s AURA on Sept. 27 to help us launch our first Tech Talk Portland. Our goal for this inaugural event was to give participants a chance to connect and share ideas, while getting a sense of the innovative and exciting work Maine offers. Attendees next heard from executives from some of Maine’s tech companies: David Cooper, CTO of WEX; Nicole Bradick, CEO of Theory and Principle; Jeff Thomas, CTO of IDEXX; and Nathan O’Leary, CEO of Mainely SEO. Their panel discussion focused on how they have created fulfilling careers in the state of Maine and where they see future employment opportunities. As a technology company, we’re always looking for innovative ways to achieve our goals, and we’ve found that Tech Talks provide us both exposure to the ideas of talented professionals and the collaborative atmosphere needed for those ideas to take root and grow. Given the success of this inaugural event, WEX has already begun planning a series of Tech Talks for 2019.